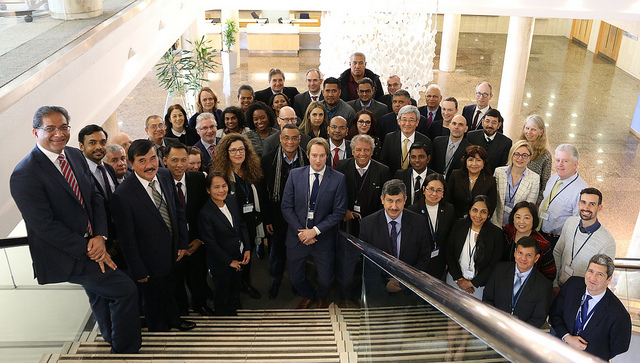 “This milestone event marks the real start of this exciting project, the first-ever globally coordinated effort to address biofouling – not just from shipping, but from all marine sectors,” said Jose Matheickal, representing IMO's Marine Environment Division. Participants exchanged views on some of the latest initiatives at the regional and global level related to biofouling and invasive aquatic species, notably World Sailing's Sustainability Agenda, the work of the EU's COMPLETE Project, BIMCO's plan for an in-water cleaning standard and BioFREE, a collaboration between Heriot-Watt University and the European Marine Energy Centre at the Orkney Islands testbed. The work plan for the project was discussed in detail, with special attention paid to the schedule of activities, the development of a communication strategy to promote awareness of the issue of invasive aquatics species and the best strategy for securing participation from the private sector – to help overcome some of the barriers that have been identified to the adoption of new technologies. Some of the next steps expected from the GloFouling project will include setting up national task forces in the 12 participating countries and launching its own Global Industry Alliance for Marine Biosafety as a vehicle for enhanced partnership between the public sector and the maritime industry, and the alignment of public, NGO and commercial activities towards common goals. 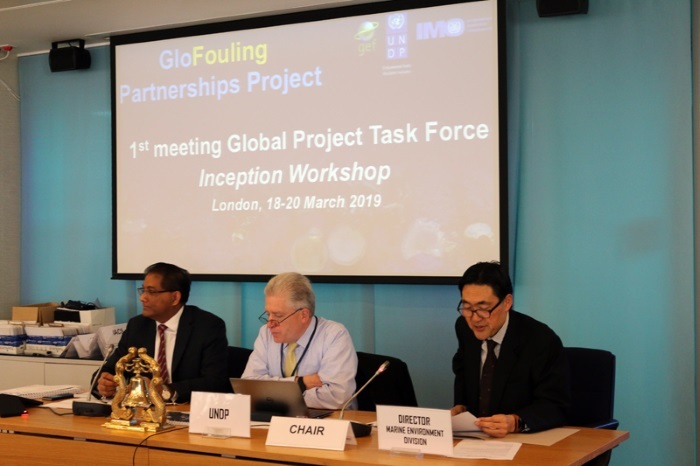 Such a partnership between the GloFouling project and the private sector would continue a pioneering and successful initiative created in other IMO projects that has set out a lead example and model for public-private partnerships in addressing emerging global marine environmental issues – for example, the GloMEEP-GIA.